KÇS is a member of the KİPAŞ group. 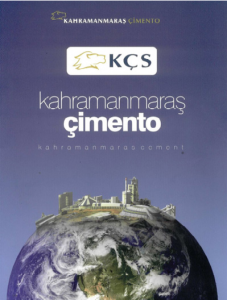 KÇS plant has a capacity of 1.400.000 tons of clinker and 2.000.000 tons of cement per year and also has 8 ready mix concrete plants. With its own rich limestone and clay quarries, our plant produce mainly CEM I , CEM II and CEM IV types of cement. KCS plant employs 423 people. is to become a distinguished and preferred brand in cement sector thanks to its quality production, high technology and environmental awareness. By permanently prioritizing quality and technological development, our essential mission is to be law-abiding and respectful of the environment and social values, constanly satisfy the customers based on their demands and expectations, and build a team spirit by adopting a quality human resources policy.